It’s easy, after what Russell Wilson did on Sunday night (and what he’s done the last six seasons), to look back on his draft year and say, If he was 6' 4", he’d have gone in the Top 5 picks. It would’ve been a lot tougher to say such a thing before Wilson had started a single NFL game. But that’s exactly what Pete Carroll said five years and a few months ago. Wilson had just beaten out Matt Flynn and Tarvaris Jackson for Seattle’s starting job, and I had Carroll on the phone a few days before the Seahawks’ opener against the Cardinals. 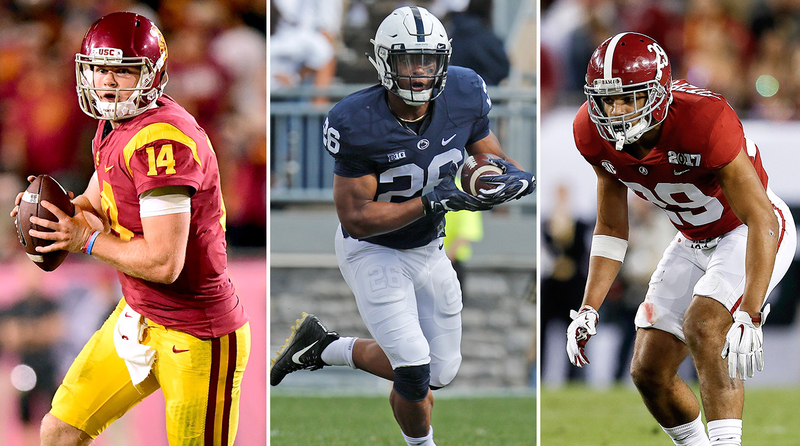 Nationally, at that point, Wilson was more of a curiosity, especially considering the high-profile, first-round rookies who’d start that weekend: Andrew Luck, Robert Griffin III, Ryan Tannehill and, ahem, Brandon Weeden. To everyone, at least, except Carroll and the Seahawks. Six years later, could all of that apply to Baker Mayfield? 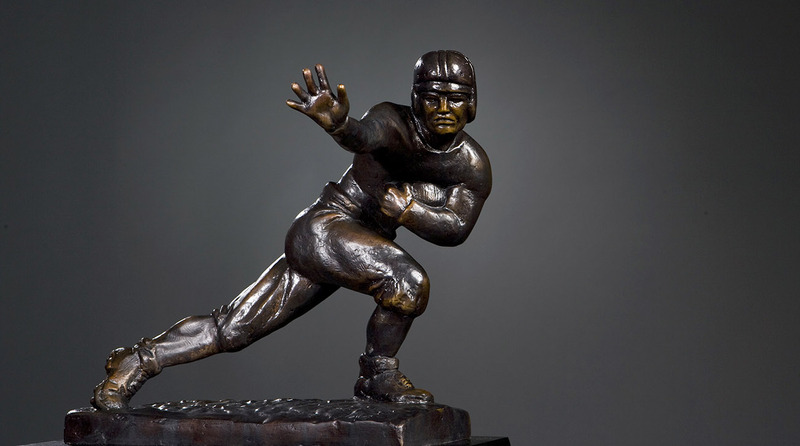 Over the next four months, that’s what the NFL will be trying to figure out, as they assess the guy whose play has stripped Saturday night’s Heisman ceremony of any drama and made it a coronation. Mayfield, like Wilson before him, is an undersized, oft-overlooked star who needed to transfer just to assure that he’d even have a shot to play. Based on the conversations I’ve had over the last few months with dozens of scouts, as well as what I’ve seen with my own eyes, I think I can make this one pretty simple: Baker Mayfield should be a first-round pick. He’s short. So was Wilson. And to be clear, that’s not irrelevant. There’s Darwinism in the fact that most great NFL quarterbacks are tall. Seeing the field is a significant piece to playing the position, and that’s easier to do from higher ground. So the question is whether or not Mayfield is an outlier. The latter exec believes that Mayfield, who’s listed at 6' 1", will come in a shade over 6-foot, which is hardly a death sentence for NFL quarterbacks. In fact, it’d probably make him a shade taller than Brees and Keenum, and put him a couple inches taller than Wilson. There are, of course, off-field flags with Mayfield. There was his February arrest for public intoxication, disorderly conduct, resisting and fleeing in Fayetteville, Ark. There’s the on-field antics too, most notably the crotch-grab that prompted coach Lincoln Riley to strip him of his captainship for his final home game. And feelings on those incidents vary depending on who you talk to. Most scouts I’ve spoken to see his popularity with teammates and coaches, and his maniacal work ethic (which, again, Manziel lacked), and believe that, because his football character is beyond reproach, he’ll be O.K. A few others, on the other hand, see a punk who just doesn’t get it. Either way, Mayfield promises to be the story of the combine and lead up to the draft in Dallas, and we’ll get to see him take on one more good test before then, against Georgia in the Rose Bowl (and maybe two, should the Sooners advance to play either Clemson or Alabama in Atlanta for the national title). 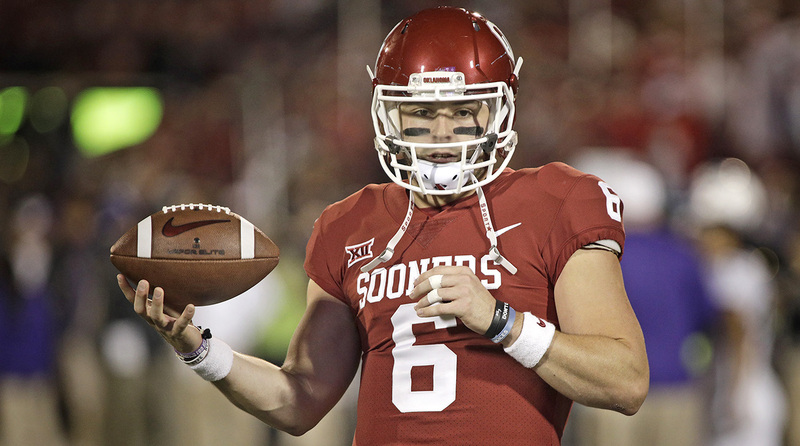 For now, though, my belief is plenty of teams see Mayfield as a second-round prospect, and enough like him to make it likely someone gets itchy and takes him in the first round. That is where I believe he should go. 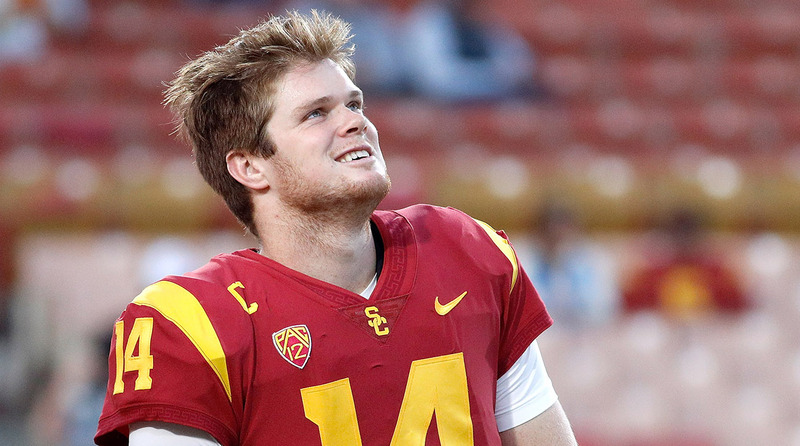 With the benefit of hindsight, we now know Wilson should’ve been a first-round pick in 2012. Consider what Carroll told me then, when I asked what was unique about his rookie quarterback. It did, of course. And a lot of good NFL people believe it will for Mayfield, too. Which is why I’m pretty sure he won’t have to wait too long on draft weekend. 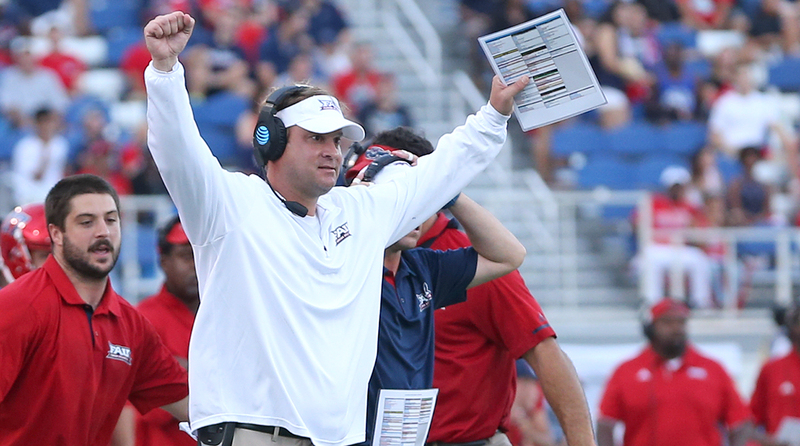 In his first season at FAU, Lane Kiffin led the Owls to more victories than they had in the previous three seasons combined and a Conference-USA title. 1. Let’s start with maybe the lowest profile showdown of Championship Saturday: Florida Atlantic’s 41-17 rout of North Texas in the Conference USA title game. Lane Kiffin is certainly unconventional, and thrives on messing with people (you can see that on Twitter). But if you’re really watching, you see a big reason why he ascended to top jobs with the Raiders and at the University of Tennessee and USC so quickly, and that’s because he has a brilliant offensive mind. He has effectively merged elements of the spread offenses of Texas coach Tom Herman (whom he consulted with while at Alabama) and ex-Baylor coach Art Briles (Briles’ son Kendall is Kiffin’s offensive coordinator) with his pro-style-rooted system, and the results have been off the charts. On Saturday, an FAU team that was listless last year rolled up 633 yards, most of which came in building the lead to 34-0 over the first 33 minutes of the beat down. Last year, before he got the FAU job, I advocated for the idea of an NFL teams hiring him as a coordinator, and I know there were scouts who told their clubs to do it. Since he seems to be on the fast track to another Power 5 job, that idea’s probably off the table now. But if I’m an NFL team, I’d at least ask. 2. We’ve been high on Georgia LB Roquan Smith all fall, and he might have been the best player in any of the championship games on Saturday, showing exactly why NFL teams have been drawn to him throughout the season. He finished with 13 tackles (10 of those solo), a sack, two tackles for losses, two hurries and a big fumble recovery as the Bulldogs held an Auburn offense that scored 40 on them in November to just seven points. The 6' 1", 225-pound junior has a Luke Kuechly-like nose for the ball, and is swift enough to be a three-down linebacker in today’s NFL. I’d expect him to be gone somewhere inside the first half of the first round. Nick Saban’s NFL Past . . . and Future? ​3. Over the last few years, NFL types have looked at Alabama and Ohio State differently than other schools, just based on top-end talent and overall depth. As this season comes to a close, those two can make room for the Clemson Tigers. The defense this year is better than last year’s, and the assembly line of skill position talent has been able to sustain through the losses of Top-12 picks Mike Williams and Deshaun Watson. Oh, and the defensive line might have three 2018 first-round picks (Clelin Ferrell, Austin Bryant and Christian Wilkins) on it, as well as perhaps, 2019’s top overall prospect (Dexter Lawrence). The Tigers’ next opponent, Bama, has a talent advantage over almost every team it faces. The two exceptions are the two teams that have knocked the Tide from the playoffs over the last three seasons. 4. Speaking of schools having strong lineage at a position, Ohio State’s been quite the NFL pipeline for defensive backs over the last few years and Denzel Ward looks to be the next great one to come down it. Ward entered our top-10 Big Board midseason and has stayed there since—a tough, physical and feisty corner who only lacks the length that the three Buckeye corners (Eli Apple, Marshon Lattimore and Gareon Conley) drafted in the first round the last two years had. He was fantastic again in the Big Ten title game, pulling down a red-zone pick in the first quarter. Given the value of the position, and the year he’s had, there’s a decent chance that he goes higher than the aforementioned three went when all is said and done. 5. Credit to all involved in how the Scott Frost situation was handled over the weekend. Nebraska did it best to keep the deal it had with Frost under wraps, allowing their well-regarded alum to focus on the AAC title game with his undefeated UCF Golden Knights. Credit to UCF, for being so gracious after the deal was announced. And credit to Frost, for keeping the focus on Saturday on the players, and deciding to stick with them to finish out a dream season in the Peach Bowl against Auburn, when most coaches would just bail to their new locale to start recruiting. Here’s hoping more follow this blueprint in the future.